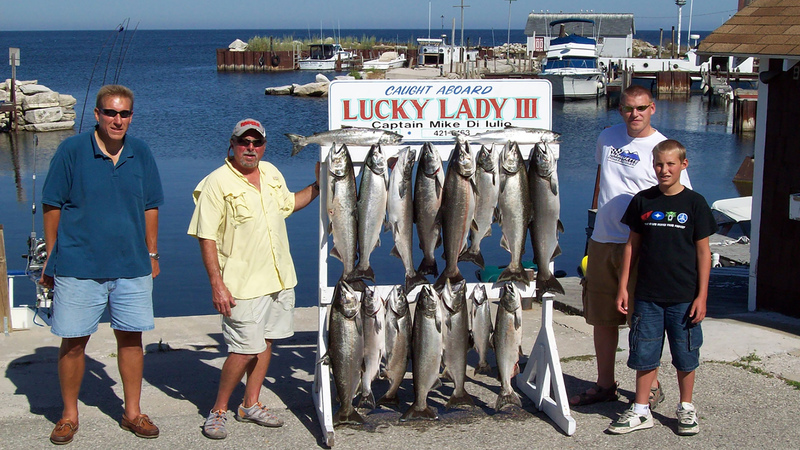 Catch the big ones with Captain Mike Di Iulio aboard the 33 foot Marinette, The Lucky Lady, III. Captain Mikes innovative system allows all participants to fish the entire trip, rather than one at a time. Leaving from the port of Gills Rock offers deep water, and usually fishing within a few minutes of departure. Fishing on the northern waters of the Peninsula offers scenic views of the bluffs, islands and historic lighthouses, and interesting narratives about local lore and history.